Yesterday we had my sister, her man and my cousins over for a bbq. 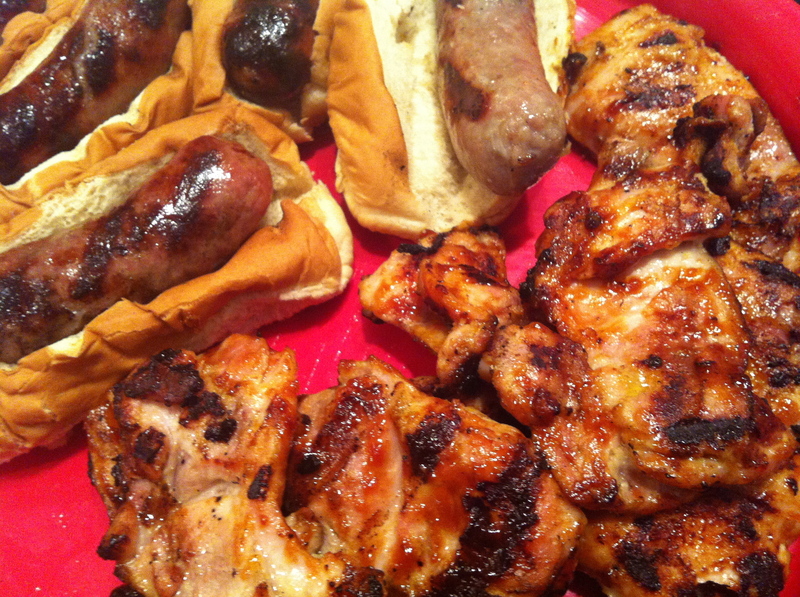 We had the usual fare for the carnivore – steak, chicken, brats. That took care of everyone but me and my sister. 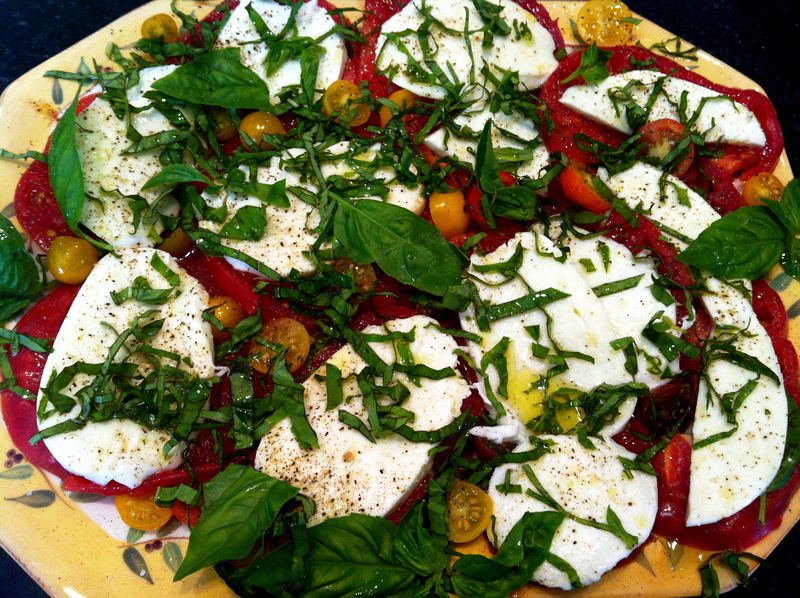 Originally I was going to make grilled pizzas – but the amount of carnivore fare on the grill had me rethink those plans. 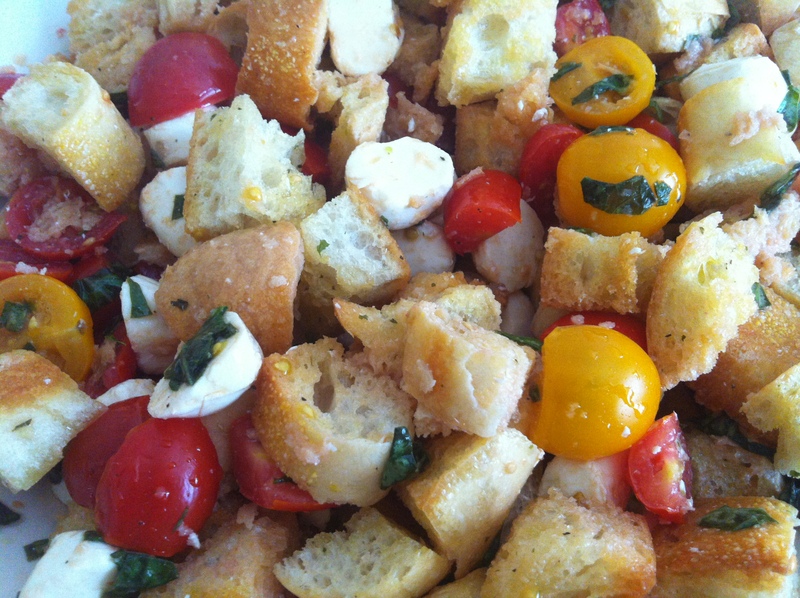 I decided on a panzanella salad – which is basically a caprese salad with chunks of homemade croutons. It could not be easier. 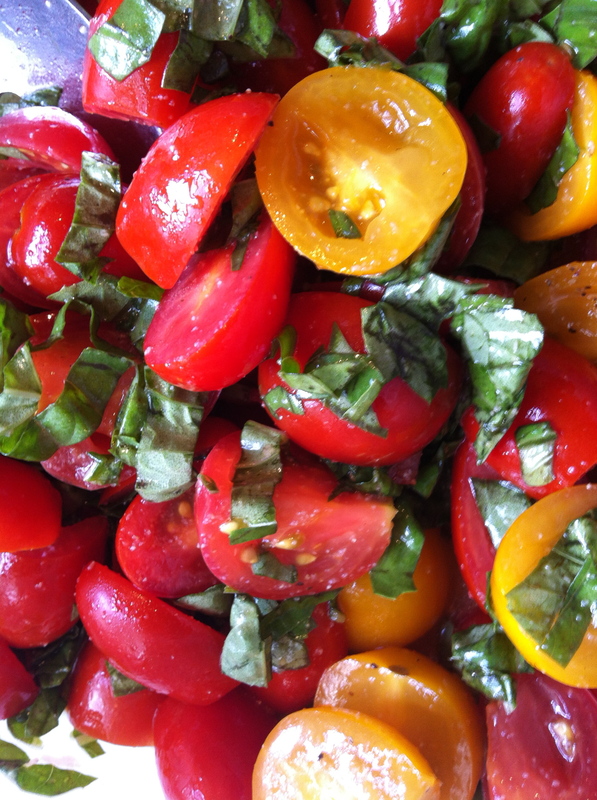 I forgot to take pictures of the baguette and tomatoes prior to cutting them up – sorry – I used replacement tomatoes. You’ll have to suspend your disbelief and go along with it. 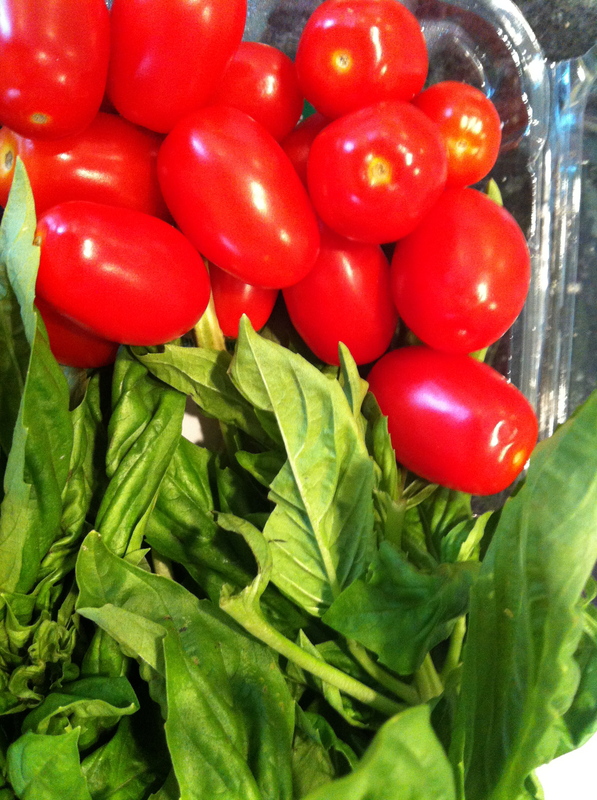 Cut up tomatoes and basil – add the vinegar and let sit, room temperature for 2 or 3 hours. 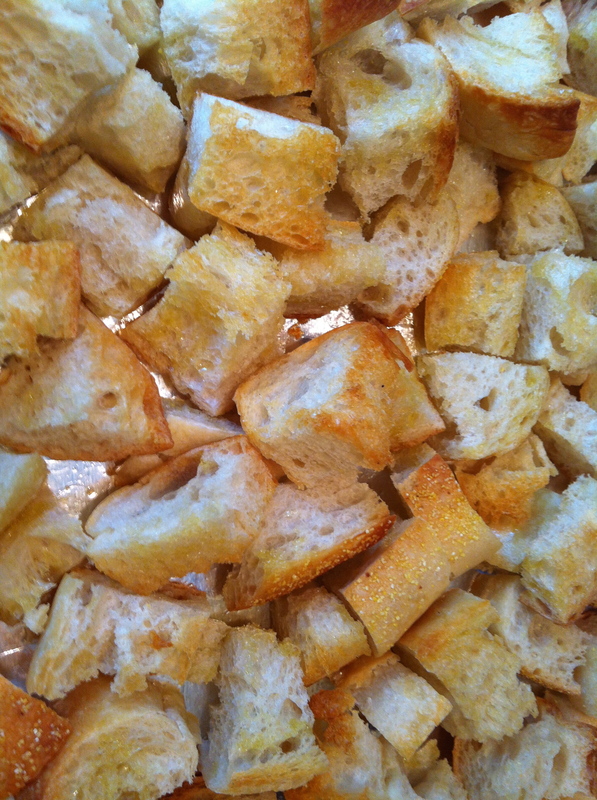 In the meantime, cut up a baguette, I used a French sourdough, and toast in a 375 degree oven for 15 minutes – until the bread is lightly toasted with crispy corners. 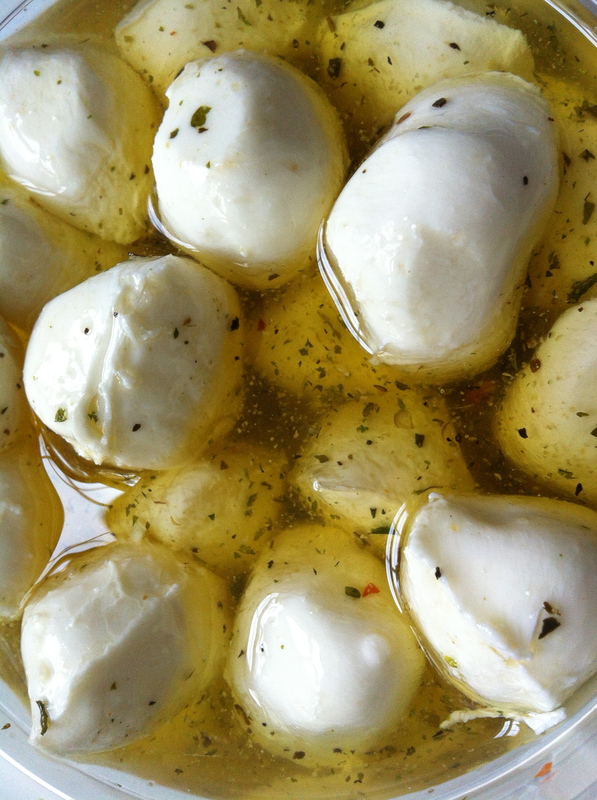 Then you need some bocconcini – those baby balls of mozzarella marinated in olive oil and herbs. 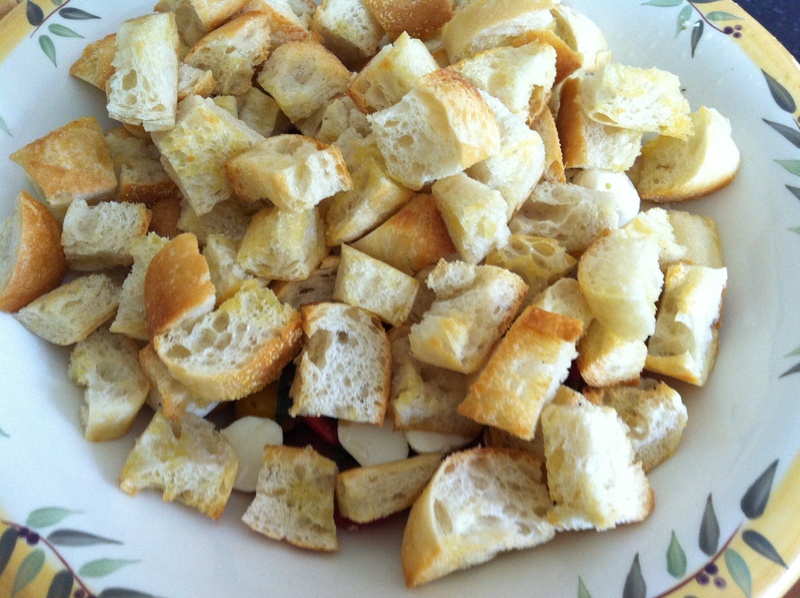 I simply cut them up, combine with the tomato/basil mixture, add the bread to combine. Couldn’t be easier. 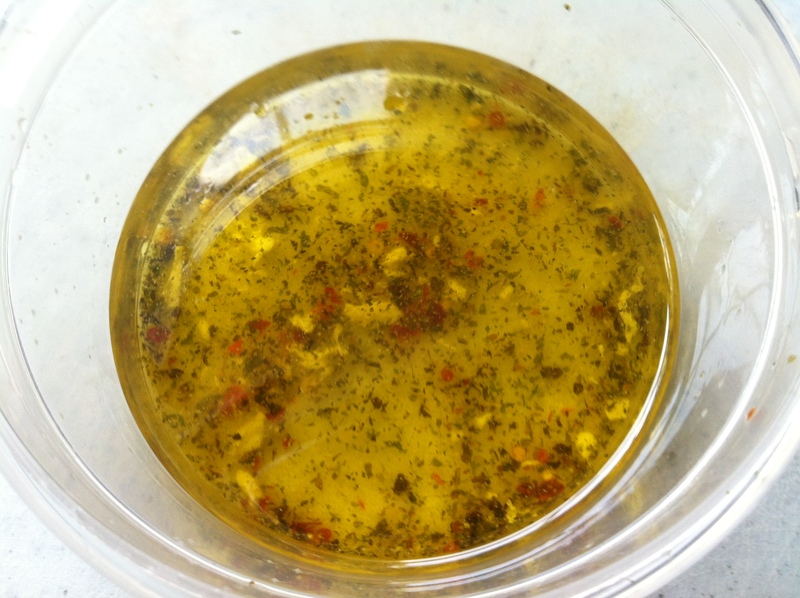 I usually add about 1/2 the oil from the cheese to the mixture and there you have it. Just when you thought another cheese/bread combo wasn’t possible. 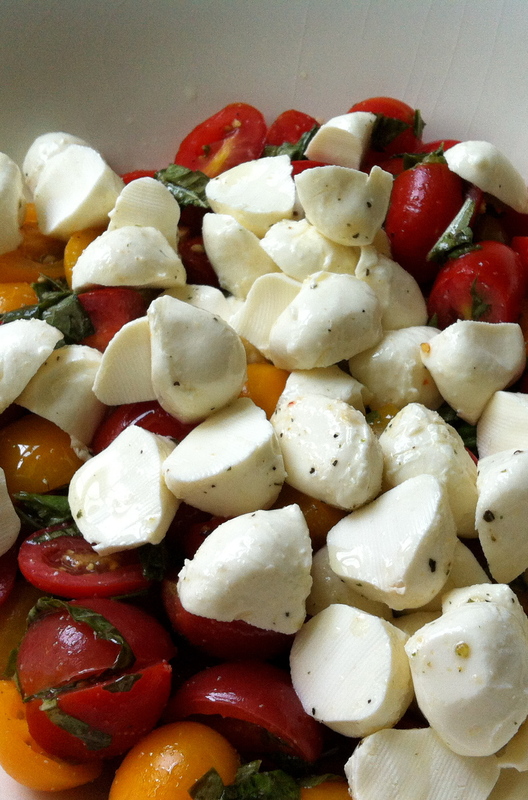 Ofcourse just one caprese salad would not make a successful cookout – enter my sister’s man who brought the beauty below. Look at the size of those glorious tomatoes. Now it’s a party! 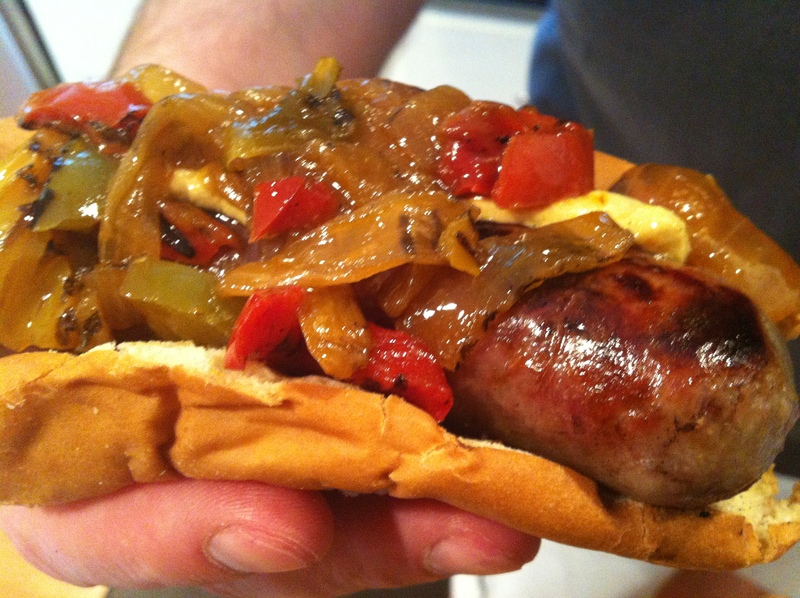 Here’s what else was served (I forgot to take photos of the steak – and the brats had been lying around for a bit so the bread looks a bit withered). 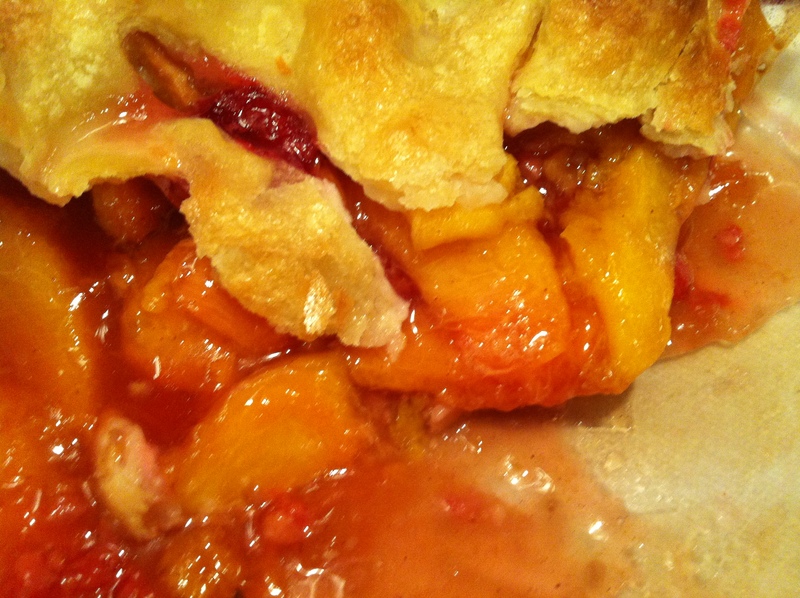 My sister – thank goodness – brought a pie! 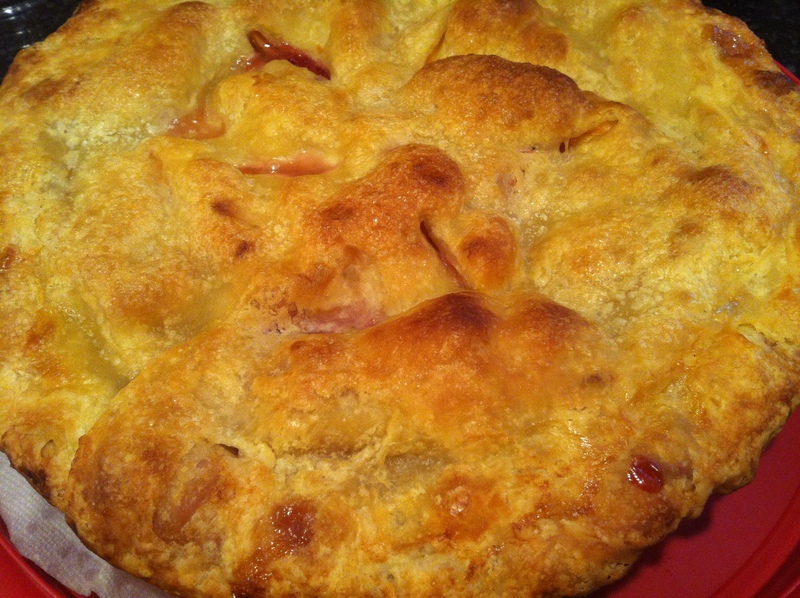 Raspberry Peach. 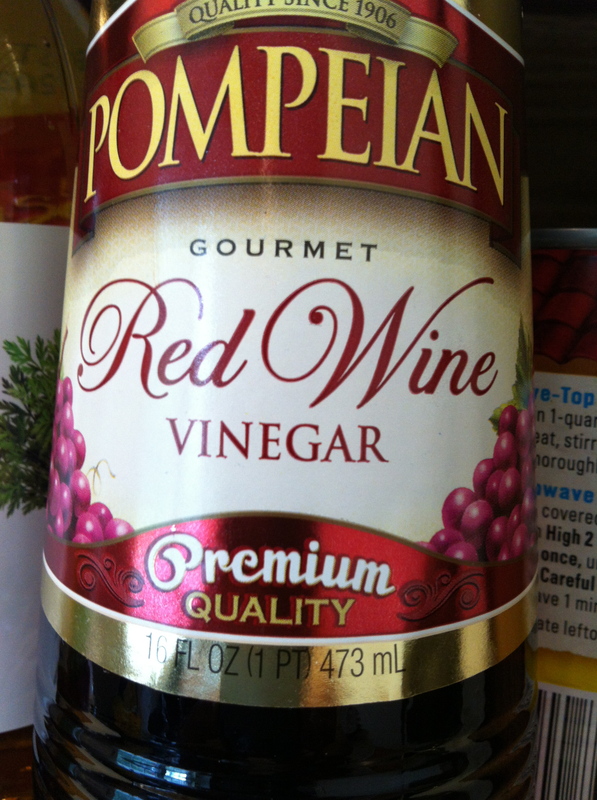 It was ridiculously good. Maybe I’ll talk her into doing a step by step baking post one day. Previous Aim Lower Please Next Fail!